Slamdunk Festival is creeping up on us, with just over two months’ to go until the magical Mayday Bank Holiday weekend, and we can not wait. With announcements happening left right and center the lineup is looking incredible with a whole host of new bands playing the festival for the very first time. We’ve been having chats with the Slamdunk Virgins to find out if there are any expectations behind the festival and what they have planned for the weekend. 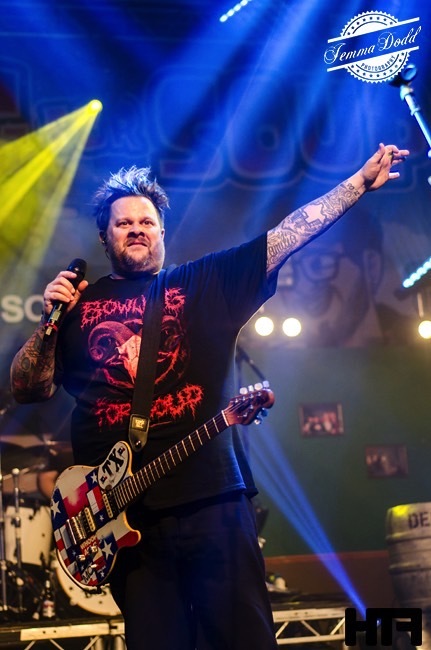 The first band we had a chat with was Bowling For Soup, and seriously we can’t believe the pop-punkers have never played the festival. How has this happened?! We spoke to frontman Jaret and here’s what happened. Mosh: There’s only about 2 months’ to go until Slamdunk Festival, how are you preparing for the festival? Jaret: We are doing a 2-week tour in the states coming up and a few fly (one off) shows…We will definitely be in the zone!! Plus, how could you not be on THAT stage!!! Mosh: As it’s your first time playing how excited are you to play? J: Very excited! We have so many friends that have played the festival and seriously can’t believe we HAVEN’T yet! We are stoked! Mosh: Do you have any expectations of the festival in the lead up to the weekend? J: Well, We know pretty much all the bands on our stage (Reel Big Fish, Less Than Jake, Zebrahead), and have a history there, so, I think just as fans ourselves, we are pretty freakin excited!! Mosh: What does it mean to you to be asked to play Slamdunk? J: To be asked to play in general is such an honour. But to be asked to headline such an incredible stage is beyond words – it’s our first ever UK festival headline slot!! Mosh: The festival has come a long way since it’s inception just over a decade ago, does the festival have any special meaning to you as a band? J: Not yet, but we will make sure it does by the end of THIS one! Mosh: Did you ever go to Slamdunk as a punter? J: Well, since we live in Texas, it never really made financial sense to head over for the festival. Maybe we should have asked to be crew guys for Patent Pending! 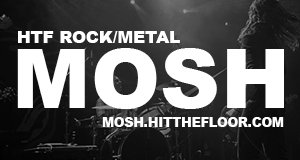 Mosh: Are there any other bands you’re excited to check out over the weekend? J: Hard to name one we AREN’T excited to see! Mosh: Are you planning anything special for the festival? J: Absolutely! Our set will have many surprises! Next articleShould Bands And Musicians Get Political?